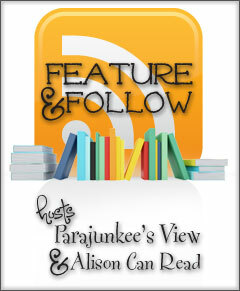 Follow Friday is hosted by Parajunkee and Alison! I think I'd like to go to the beach with my laptop and kindle and get some work done, since I never have time anymore. I'd like to go anywhere, lol. Oh I'd love that. i'd be thrilled with a cheapo beach cottage all alone with my laptop. Ahhh. But no such luck here.